One of our clients received this email today that bypassed the spam filter. Good job on catching this one! 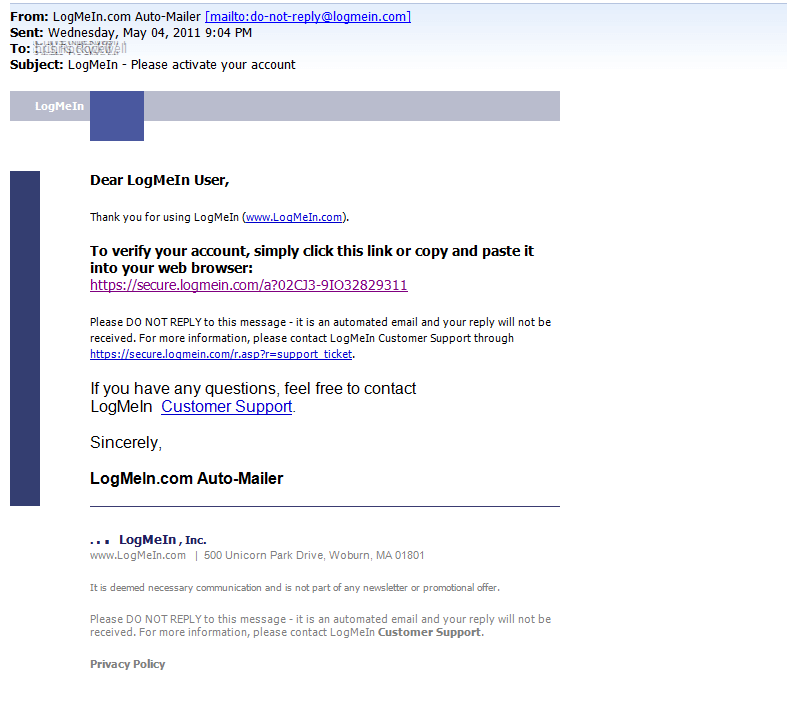 This message is not from LogMeIn, but is a good fake. If you get a message like this, please contact us or your network support services to help decide if it's valid or not.